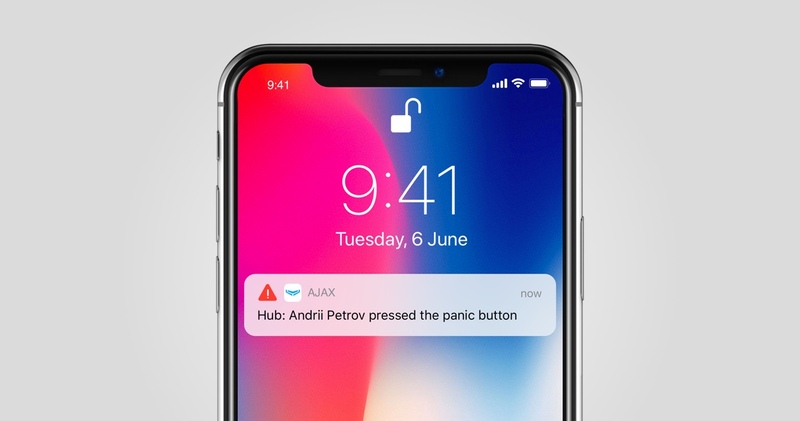 Ajax can be conveniently used for stand-alone monitoring of your house, apartment or office, which is attributed to an advanced user notification system: combining push notification service, SMS, and phone calls. Even if you connect your security system to a central monitoring station, you will still be notified of all events, and you will be able to oversee the resolution of any problem that may occur. Providing, of course, that you do not miss the Ajax alert. Different types of Ajax notifications minimize the risk of missing a critically important event: an intruder detected inside a house, fire detectors signaling smoke presence or water leak detected. Push notifications require an internet connection, but they may be received over Wi-Fi within seconds in the absence of cellular signal. On the other hand, SMS functions independently of an internet connection, while telephone calls attract the most attention given the duration of the ringtone and vibrations. But having all three types of notifications enabled does not guarantee that you will not miss a security system alert and the reason for that may be attributed to the iPhone’s settings. All you have to do is bring the volume of alerts all the way down, switch silent mode (disabling vibration at the same time) or turn on “Do Not Disturb” mode, and the chances of you missing an important event increase manyfold. Fortunately, it was not only the companies providing services with extremely important notifications for users that realized they had a problem, but so did Apple. In iOS 12, Apple added a new type of notifications — Critical Alerts. 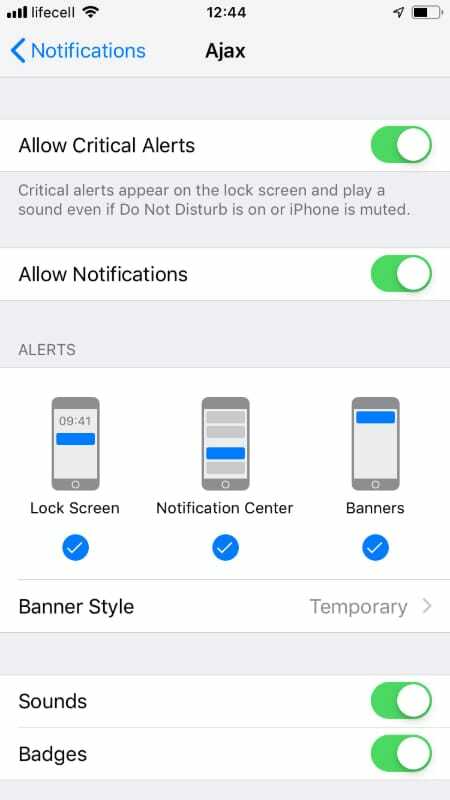 Regardless of your smartphone’s settings, these notifications play an audio alert and a message pops up on the screen. Apple supports Critical Alerts only for applications related to health, public safety, and home security. 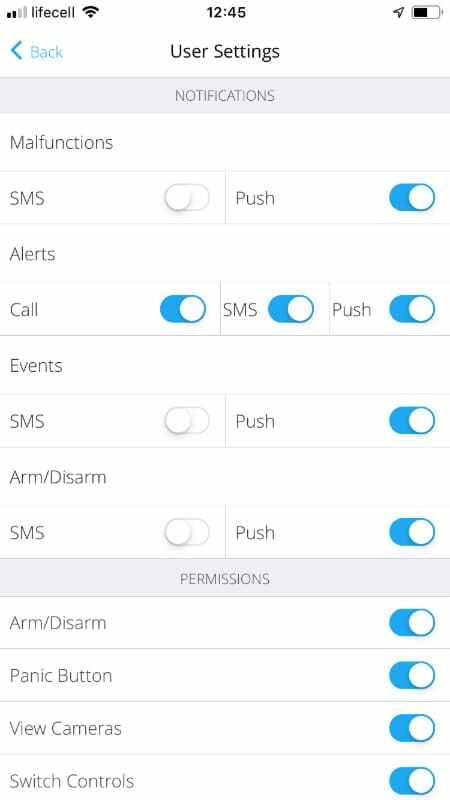 In order to gain access to these alerts, application developers must demonstrate users’ interest in receiving notifications overriding device settings, and the application is subject to additional moderation. 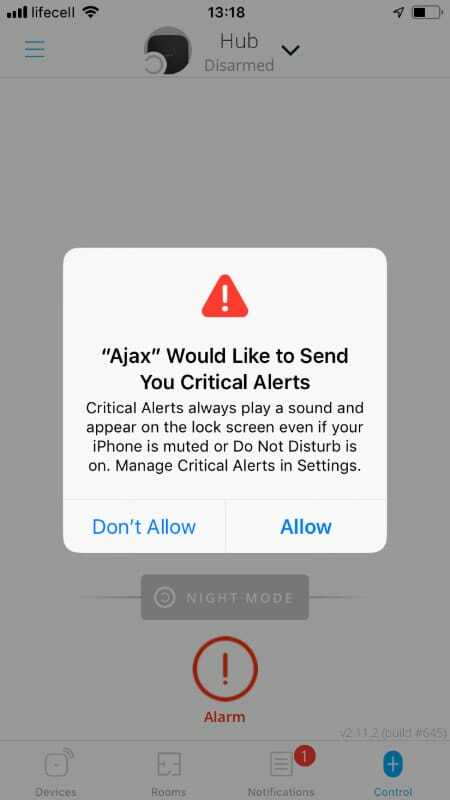 The Ajax Security System App was one of the first security applications in the world to obtain Apple authorization for using Critical Alerts. When you open the application after upgrading to version 2.11.2, you will see a message asking you to opt in to the new feature. We strongly recommend that you follow the advice! Ajax Security System uses Critical Alerts only for communicating alerts when detectors signal intrusion, fire or leak, and in the event of pressing of the panic button on the key fob or when entering a code under duress on the keyboard. 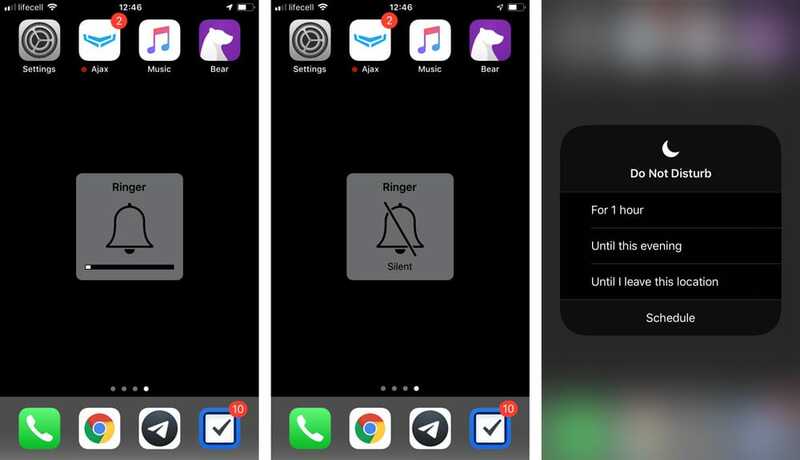 System notifications will not override the sound mode of your smartphone. If you want to disable or enable previously disabled Critical Alerts, go to Settings ▻ Ajax ▻ Notifications. Remember that you can connect Ajax to a central monitoring station of the security company to ensure 24/7 monitoring of security events and prompt responses to alerts.